THERMODYNAMICS, THAT IS, THEY BUILD UP HEAT AND DO NOT EMIT LIGHT. ALMA: "A HUGE 3D WEB OF INVISIBLE DARK MATTER. This dark matter filamentary structure is thought to be a progenitor of large scale structures in the universe." NASA, ESO: "NORMAL MATTER IS BUILT INSIDE AN UNDERLYING SCAFFOLDING OF DARK MATTER. LARGEST DARK MATTER MAP MADE SO FAR. The luminous matter that we can see is housed within the dark matter structures that we cannot see." Upper Right: SIDIS IRREGULAR 3-D CHECKERBOARD MODEL: " ... the negative sections must be completely surrounded by positive sections ... and any positive section must also be completely surrounded by negative sections.."
SIDIS IRREGULAR 3-D CHECKERBOARD? "The shape of the cluster observed by the Subaru Telescope indicates the presence of a huge 3D web of invisible dark matter. The team found that their young monstrous galaxies seemed to be located right at the intersection of the dark matter filaments. This dark matter filamentary structure is thought to be a progenitor of large scale structures in the Universe." SIDIS IRREGULAR 3-D CHECKERBOARD? DARK MATTER (BLUE) SURROUNDING NORMAL MATTER (GRAY) AND VICE VERSA —"... largest sample of the distribution of dark matter ever obtained. It demonstrates how normal matter - including stars, galaxies and gas - is built inside an underlying scaffolding of dark matter." SIDIS IRREGULAR 3-D CHECKERBOARD? (In this inverted-color version of the original map, red is dark matter, blue is normal matter.) 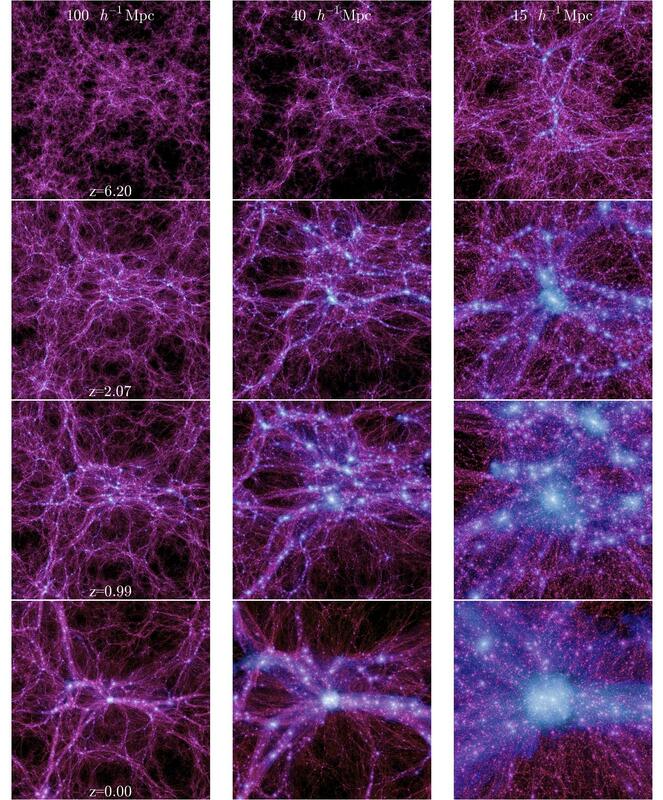 "The luminous matter that we can see is housed within the dark matter structures that we cannot see, and this dark matter forms a cosmic web of filaments, knots, and voids. 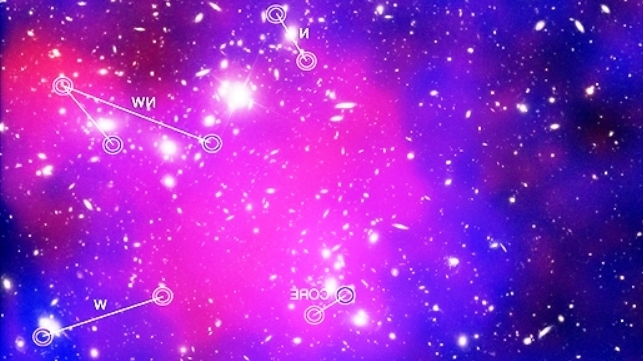 The new data show large filaments of dark matter where visible galaxies and galaxy clusters lie and cosmic voids where very few galaxies reside." SIDIS IRREGULAR 3-D CHECKERBOARD? DARK MATTER (BLUE) SURROUNDING NORMAL MATTER (RED) AND VICE VERSA—This image is intended to represent the "first tremors of the Big Bang," but it illustrates the Sidis Model. In this and many of the images in MORE DATA, the blue areas represent the negative, dark-matter sections which surround the positive, ordinary-matter sections (red). In this particular diagram we see each type surrounding the other as in the Sidis Irregular 3-D Checkerboard model. SIDIS IRREGULAR 3-D CHECKERBOARD? NEGATIVE SECTIONS (DARK MATTER, BLUE) SURROUNDING POSITIVE SECTIONS (NORMAL MATTER, RED) AND VICE VERSA—"Starlight from galaxies ... is colored orange. 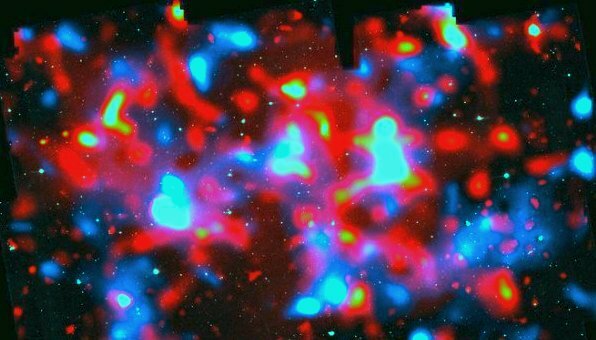 The green-tinted regions show hot gas ... blue-colored areas pinpoint the ... dark matter. ... blend of blue and green in the center of the image reveals that a clump of dark matter resides near most of the hot gas ..."
COSMIC VOIDS NOT EMPTY—CONSIST OF DARK MATTER AND DIM STRUCTURES—16APR2014—"Researchers at the University of Pennsylvania have measured the "weight" of these cosmic voids and filaments for the first time, showing the former are not as empty as they look. ... Dark matter and other dim structures permeate all the way to the center of the voids." KECK OBSERVATORY TEAM REPORTS DISCOVERY OF DARK MATTER WITH FILAMENT STRUCTURE—MAY BE EVIDENCE THAT DARK MATTER CONSISTS OF DARK STARS—15OCT2012—" ... a team of astronomers has uncovered the presence of a filament of dark matter extending from the core of the cluster. The location of the dark matter is revealed in a map of the mass in the cluster and surrounding region, shown here in blue. The filament visibly extends out and to the left of the cluster core. THIS ANIMATION DESERVES AN AWARD—"Using additional observations from ground-based telescopes, the team was able to map the filament’s structure in three dimensions, the first time this has ever been done. The filament was discovered to extend back from the cluster core, meaning we are looking along it. ... 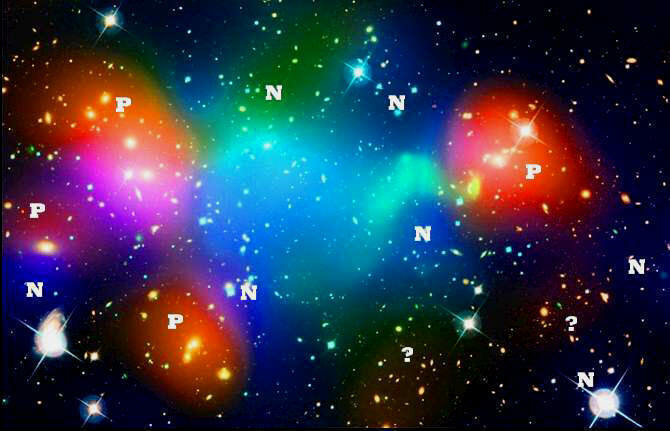 The significant amount of dark matter in this cluster, shown in light blue, may be also similar to the Hercules–Corona Borealis Great Wall." SUN EMITTING AXIONS? MAY BE MORE EVIDENCE THAT DARK MATTER CONSISTS OF DARK STARS—020OCT2014—"It appears plausible that axions—dark matter particle candidates—are indeed produced in the core of the Sun." 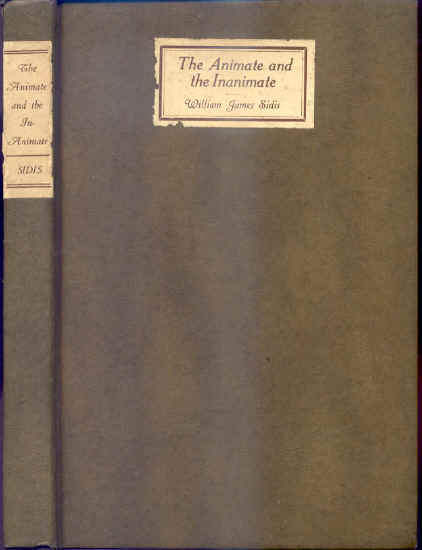 A RIGOROUS EXAMINATION OF THE SECOND LAW OF THERMODYNAMICS LED TO THE SIDIS MODEL. 3-D CHECKERBOARD? DARK MATTER (BLUE) SURROUNDING NPRMAL MATTER (RED) AND VICE VERSA. This visualization from BICEP2 is intended to represent the "first tremors of the Big Bang," but instead it illustrates well the Sidis Model. 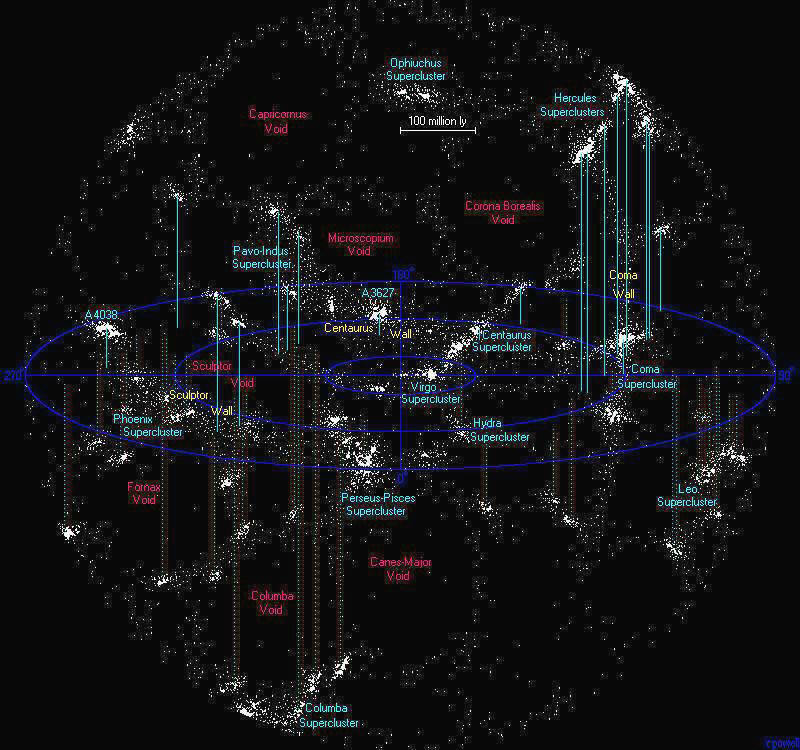 The blue areas represent the negative dark-matter sections, the red the positive ordinary-matter sections, each type surrounding the other as Sidis predicted. The universe is infinite and eternal. Stars exist in an eternal darkstar-lightstar cycle. Galaxies are distributed throughout the universe in an irregular three-dimensional checkerboard of ordinary-matter spaces where they follow the second law of thermodynamics and expend light and heat, and dark-matter spaces where they reverse the second law of thermodynamics and build up heat and do not emit light. Dark matter consists of hot dark stars still in their galaxies and filaments. Sidis's theory is a consequence of the laws of physics, e.g., the first law of thermodynamics (energy is neither created nor destroyed). Derived by re-purposing a Millennium Simulation Project image. 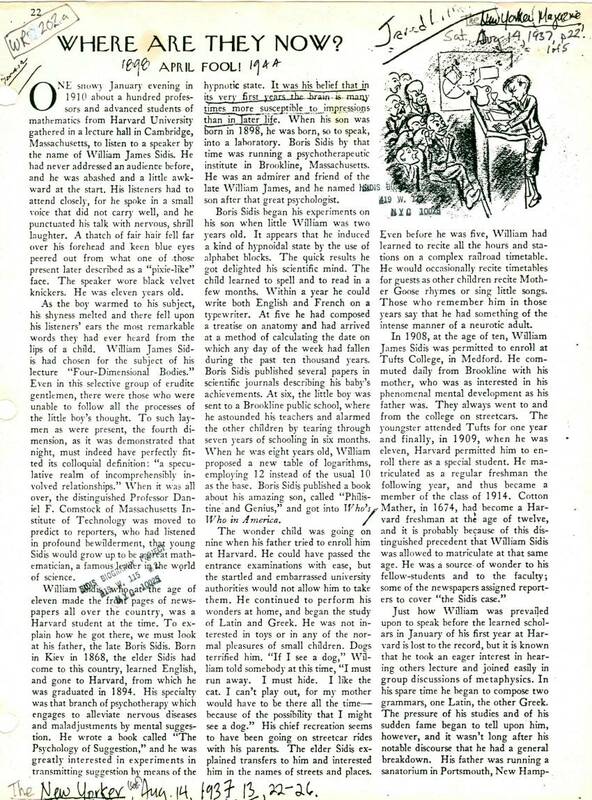 For info on ALMA scroll to bottom of this page. ANIMATIONS OF SIDIS IRREGULAR THREE-DIMENSIONAL CHECKERBOARD MODEL OF POSITIVE SECTIONS (ORDINARY MATTER) AND NEGATIVE SECTIONS (DARK MATTER), AND ALMA MODEL OF SAME. SLOWLY, OVER EPOCHS OF TIME, THE NEGATIVE SECTIONS BECOME POSITIVE SECTIONS AGAIN AS THEIR STARS FINISH REVERSING THE SECOND LAW OF THERMODYNAMICS (BUILDING UP HEAT). THEN THEY BEGIN FOLLOWING THE SECOND LAW EXPENDING LIGHT AND HEAT AGAIN. MEANWHILE, THE POSITIVE SECTIONS HAVING EXPENDED ALL THEIR HEAT GO DARK AND BEGIN REVERSING THE SECOND LAW. SIDIS THREE-DIMENSIONAL CHECKERBOARD? Sky in our black and white version of the above Hubble Telescope composite photo shows normal matter (WHITE) surrounding dark matter (GRAY). "DARK MATTER 'JACKET' SURROUNDS GALAXY— ... appears to be encased in a shell of dark matter, ... it appears the object is massive enough to be a galaxy itself." HOT DARK MATTER?—"Data from NASA's Chandra X-ray Observatory are colored red, showing gas with temperatures of millions of degrees. In blue is a map showing the total mass concentration (mostly dark matter) ... ."
HOT DARK MATTER?—" ... galaxies in the cluster make up less than 5 percent of its mass. The gas (around 20 percent) is so hot that it shines only in X-rays (colored red in this image). The distribution of invisible dark matter (making up around 75 percent of the cluster’s mass) is colored here in blue." HOT DARK MATTER?—"In this composite image, the hot gas observed with Chandra is colored red, and the galaxies in the optical image from Hubble appear as mostly white and yellow. 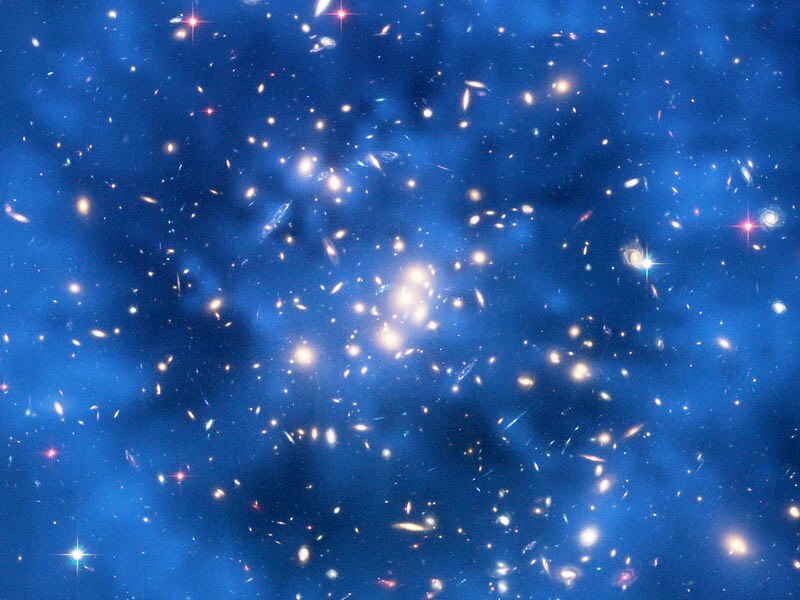 The location of the majority of the matter in the cluster (dominated by dark matter) is colored blue. When the red and the blue regions overlap, the result is purple as seen in the image." HOT DARK MATTER?—"Hot gas is shown in an image from NASA's Chandra X-ray Observatory, and galaxies are shown in an optical image from NASA's Hubble Space Telescope. 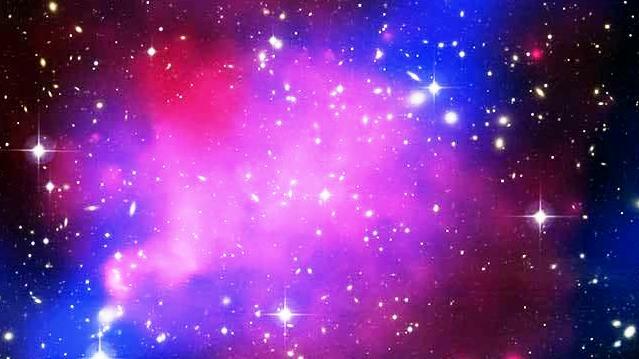 The hot gas is color-coded to show temperature, where the coolest gas is reddish purple, the hottest gas is blue, and the temperatures in between are purple." 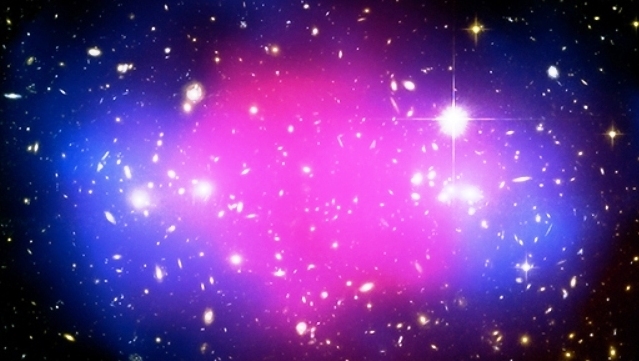 "... ordinary matter (shown in pink) and dark matter (highlighted in blue)." "This composite shows three different components of the Hubble COSMOS survey: The normal matter (in red) determined mainly by the European Space Agency’s XMM/Newton telescope, the dark matter (in blue) and the stars and galaxies (in grey) observed in visible light with Hubble." "Clusters of galaxies like this one, MCS J0416.1-2403 located in the constellation of Eridanus, have long been theorized to be bound by cosmological dark matter." HOT DARK MATTER? MAXIMUM AND MINIMUM CONCENTRATIONS OF ENERGY IN A DARKSTAR GALAXY——"The simulated distribution of dark matter in a Milky Way-like galaxy for standard, non-interacting dark matter ... The colours represent the density of dark matter, with red indicating high-density and blue indicating low-density." HOT DARK MATTER? MAXIMUM AND MINIMUM CONCENTRATIONS OF ENERGY IN A DARKSTAR GALAXY—"Brightness (blue-to-violet-to-red-to-yellow) corresponds to increasing concentration of dark matter. The bright central region corresponds roughly to the Milky Way’s luminous matter of gas and stars, and the bright clumps indicate dark-matter satellites orbiting our Milky Way galaxy which are known as 'substructure'." HOT DARK MATTER? MAXIMUM AND MINIMUM CONCENTRATIONS OF ENERGY IN A DARKSTAR GALAXY—"Diffuse, hot gas with a temperature of nearly 50 million degrees permeates the space between the galaxies. 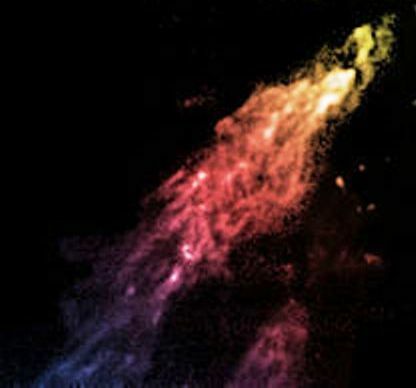 The gas emits X-rays, seen as blue in the image taken with the Chandra X-ray Observatory in November 2003. The X-ray portion of the image shows enormous holes or cavities in the gas, each roughly 640,000 light-years in diameter — nearly seven times the diameter of the Milky Way. The cavities are filled with charged particles gyrating around magnetic field lines and emitting radio waves shown in the red portion of image taken with the Very Large Array telescope in New Mexico in October 2004." HOT DARK MATTER? MAXIMUM AND MINIMUM CONCENTRATIONS OF ENERGY IN A DARKSTAR GALAXY—"Is this just an unusual cluster, or could it be a sign of the existence of 'hot' dark matter? 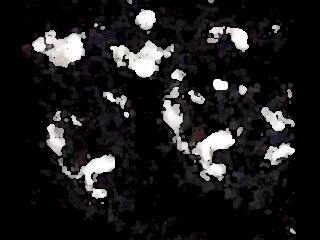 ... Galaxies are represented as peaks, and the central mountain is the dark matter in between the galaxies. ... a much smoother and less centrally concentrated distribution of dark matter in one cluster." "This figure shows the number density (red squares) for each brightness of the galaxies derived from observation in this study. 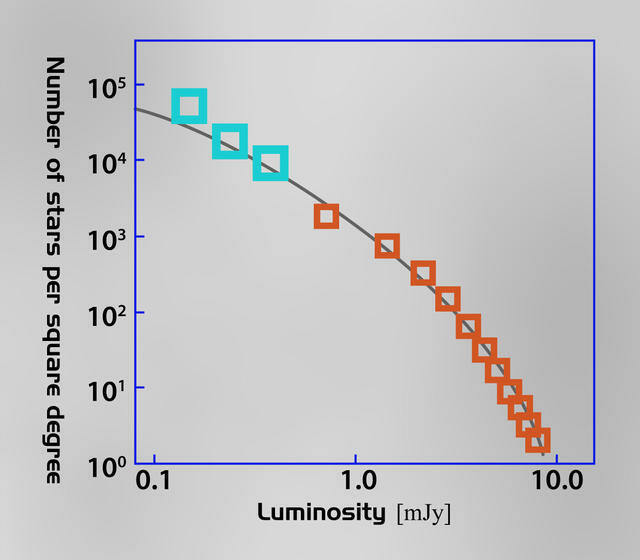 Compared to past observation results (blue squares), galaxies approximately ten times as dark were detected. The curve shows the prediction by the theories of galaxy formation." IN WHICH DIRECTION IS THE 14-BILLION LIGHT-YEAR DISTANCE TO THE EDGE? LET'S HOPE IT'S NOT THE SAME IN ALL DIRECTIONS. THAT WOULD PLACE US AT THE CENTER OF THE UNIVERSE, A CIRCUMSTANCE WITH SUCH A LOW PROBABILITY AS TO BE NEXT TO IMPOSSIBLE. VIRGOHI21 is an extended region of neutral hydrogen (HI) in the Virgo cluster discovered in 2005. Analysis of its internal motion indicates that it may contain a large amount of dark matter, as much as a small galaxy. 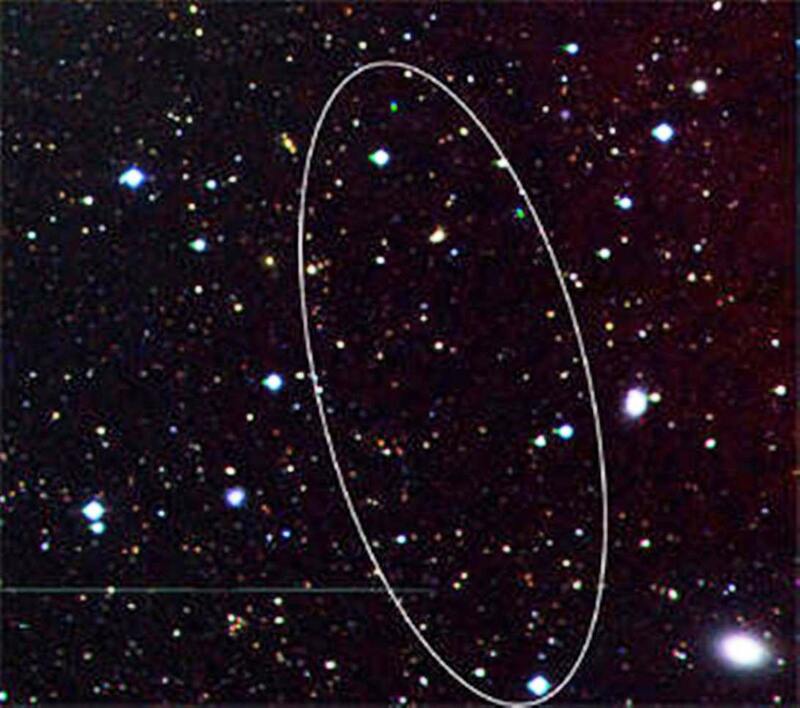 Since VIRGOHI21 apparently contains no stars, this would make it one of the first detected dark galaxies. 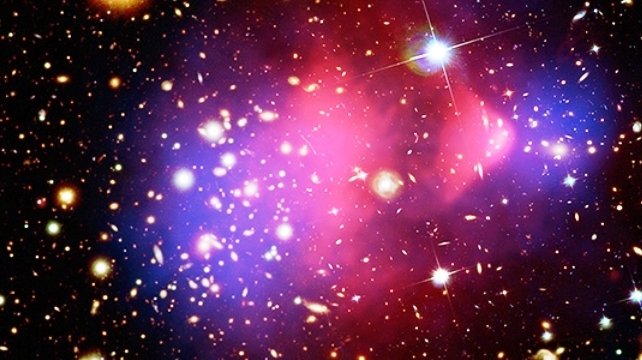 An army of scientists is advancing on dark matter. 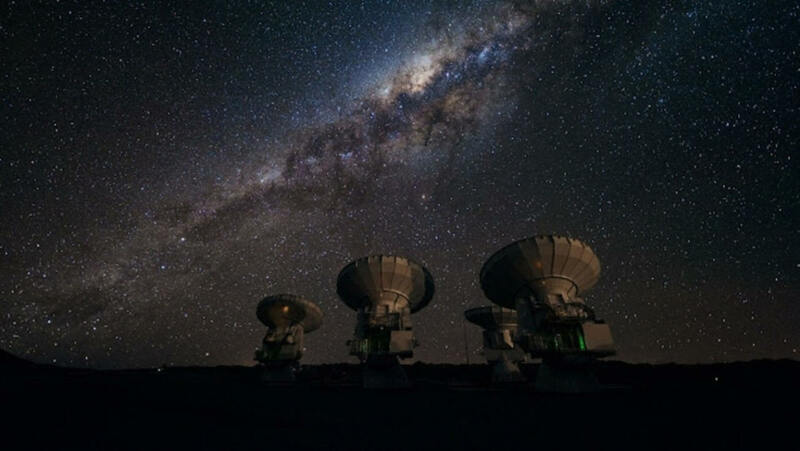 A major part is being played by the Atacama Large Millimeter/submillimeter Array (ALMA), an international partnership of Europe, North America and East Asia in cooperation with the Republic of Chile. 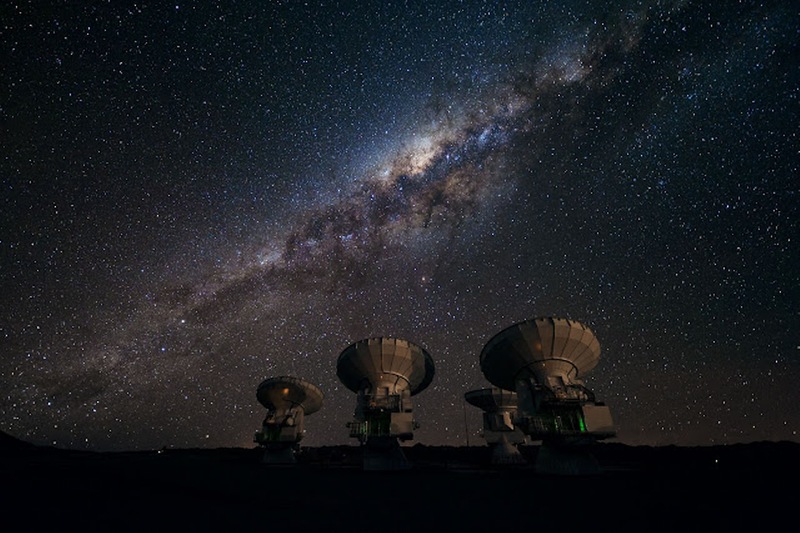 It is the largest astronomical project in existence.